ASUS has been always known as a global technology leader who focuses on the mastery of innovation and design perfection. As one of the world’s top PC brands and the world’s #1 manufacturer of motherboards, ASUS provides high performance products to enhance the computing experience. Besides, ASUS products are strictly quality tested to surpass industry standards, surviving multiple drop tests, hinge tests cycles and LCD pressure tests, making them a great investment for everyone. More importantly, ASUS products use only premium materials, ensuring unmatched reliability you can trust. Equipped with unique features and technologies, this ASUS A55A-AH51-RD 15.6-Inch LED Laptop is an awesome solution for those who seek a highly reliable notebook for work or play while don’t want to break the bank. It is designed to meet your productivity and entertainment needs while on the go. Featuring IceCool Technology, this ASUS A55A-AH51-RD 15.6-Inch LED Laptop helps keep the palm rest cool even after prolonged use. You can prevent inadvertent cursor movement on the track pad when typing thereby thanks to the ASUS Palm Proof Technology, ensuring better accuracy while editing or writing a document. Want a laptop that provides you with an immersive multimedia experience? 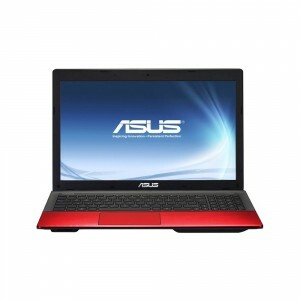 No problem with this ASUS A55A-AH51-RD. It delivers high-definition LED panel and SRS Premium SoundTM via Altec Lansing speakers. The SmartLogon facial recognition technology allows logging in to your laptop password-free. Additionally, it saves you time and keeps your laptop secure by preventing unwanted access by other people.